Hi! 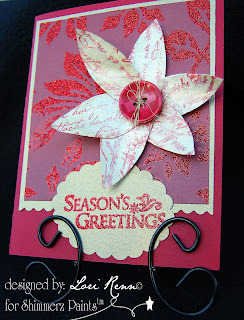 Here is one more card that we created in my Christmas Card class for Shimmerz Paints. If you would like to watch a tutorial on how to make the golden poinsettia flower then go to our Shimmerz Video blog! Super video and super result!